We're playing matchmaker: CreditDonkey is matching up love-seekers with the best dating blogs the Internet has to offer. 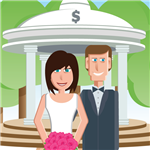 As a personal finance website, CreditDonkey knows dating can be stressful and expensive. From figuring out who plunks down a credit card at the first date to finding the perfect engagement ring when you’ve met your match, every relationships has its pivotal—and often pricey—moments. Make these moments count with tips you can use in your love life. When you’re in the dating world, you want to avoid wasting time and money. Make a wrong move, and you’ve lost out on valuable time you could have spent meeting your real someone special (as well as the price of an entrée and drinks). Of course, everyone is a so-called expert these days, and you’ll find many bloggers claiming they have the best advice. Only a select few are worth following, whether you’re new to the dating scene, making a comeback, or just curious about what the single life is like these days. Follow your heart and any of our best dating blogs below. Science of Relationships offers a research-based approach to understanding and navigating the dating landscape. 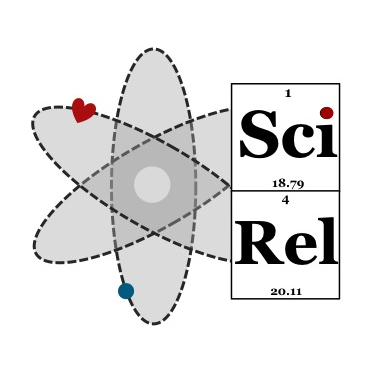 Why Science of Relationships is a Top Dating Blog: Most authors on this site hold Ph.D.'s, so you can rest assured you're getting smart insight when you visit the blog. The folks behind this dating site have created a giant sea of singles plus a blog for helping users be successful in the dating scene. Why PlentyOfFish is a Top Dating Blog: This blog's got a little bit of everything, with quick-reads for single women, including dating tips, how to spot red flags, and fun dating news. Online Personals Watch covers news in the dating industry to keep businesses and onlookers in this sector up-to-date. Why Online Personals Watch is a Top Dating Blog: Whether you're employed in the dating industry or an interested observer, Online Personals Watch has the latest business news and trends ready and waiting for you. Miss Travel showcases advice and extravagant travel destinations around the globe, aimed at singles who want to meet up while far away from home. Why Miss Travel is a Top Dating Blog: Targeting singles stricken by wanderlust is Miss Travel's greatest appeal, as the blog provides both the perfect date destination and tips on how to snag the perfect companion to join you. Online Dating Insider is a blog about the online dating app business, featuring articles about new services, fraud, and more. Why Online Dating Insider is a Top Dating Blog: If you want to know the latest news about your favorite dating apps, you'll find it on this blog. loveisrespect is dedicated to educating and empowering young people to make safe, healthy choices while dating to prevent abusive relationships. Why loveisrespect is a Top Dating Blog: If you're in a relationship that's potentially unhealthy or you need good advice about boundaries, look no further. The White Label Dating blog features business tips as well as instructions on how to use its platform, which helps users run their own online dating websites. Why White Label Dating is a Top Dating Blog: If you're looking to start your own dating website, this site will be an invaluable resource on everything from expanding your client base to better understanding the current market for dating businesses. Single Mom Seeking is a wide-ranging blog about family, life, and love, but its dating advice for single moms is a real highlight. Why Single Mom Seeking is a Top Dating Blog: Single moms who are looking for the right partner will find plenty of great advice geared specifically toward them on this blog. Love Systems prides itself on providing men with dating advice that is driven by proven techniques. Why Love Systems is a Top Dating Blog: Easily digestible articles and practical advice make Love Systems a great resource for guys developing their dating skills. James Sama's dating blog is focused on turning men into gentlemen and helping them navigate the ups and downs of a relationship. It is also designed to help women raise their standards and find higher quality men. Why JMS is a Top Dating Blog: Men who need a little dating advice, whether it's getting someone to notice you or fixing your bad habits to become a gentleman, should take a look at this blog. The Zoosk blog features success stories from the online dating service's international clientele. Why Zoosk is a Top Dating Blog: For the online dater looking for hope and inspiration, Zoosk's users share heartwarming tales of success in finding true love. Nosy observers will find lovely tales here as well. These planners are about the big day before the big day - the proposal, and they've got a host of tips and destination ideas for popping the question. Why The Heart Bandits is a Top Dating Blog: Perfect for anyone hoping to get asked and anyone who's expected to do the asking, this blog has gorgeous photos, lists of proposal trends and many gush-worthy tales. And That's Why You're Single is a blog for the single who are hoping to find a romantic connection. Why And That's Why You're Single is a Top Dating Blog: Those who find themselves frustrated by the prospect of being single should check out this blog, which features plenty of great do's and don'ts for the modern dating world. Read: Creepy OKCupid Messages? Groundbreaking..
Get a Love Life is a blog for mid-life singles who are looking to reignite their love lives, featuring advice for dating, relationships, and meeting the perfect person. Why Get a Love Life is a Top Dating Blog: Mid-life singles who want a little advice about re-entering the dating pool will find the exact advice they need on this blog. Relationship and dating expert Wendy Newman writes woman-to-woman on her advice site. Why Wendy Newman is a Top Dating Blog: For those who respond best to a gentle nudge, Wendy will win you over. 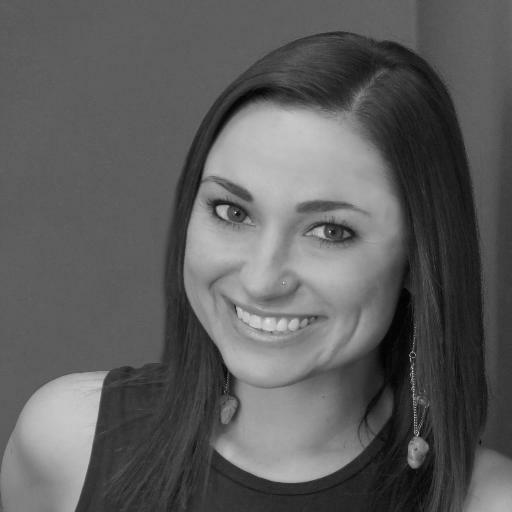 Her blog is approachable, with the feel of a friend who wants the best for you. Relationship coach DeAnna Lorraine strives to help single, socially awkward men turn their fruitless dating days into distant memories. Why DeAnna Lorraine is a Top Dating Blog: Lorraine strikes a personal, conversational touch to her posts, giving out practical dating advice and chatty video clips designed to help her male readers make the first move. Dating guru Kelly Seal's blog is packed with advice for dating in the modern world, geared toward those for whom dating has become more of a chore than a pleasure. Why Kelly Seal is a Top Dating Blog: Anyone who's sick of dating and is looking to shake things up will love Kelly's approach to dating and relationship advice. Unmarried Christians have found their dating mate with this niche blog. Why Christian Connection is a Top Dating Blog: Whether you're about to go on a first date or already in a steady relationship, Christian Connection posts inspirational posts that will lead to introspection and reflections as you make progress in your love life. Dating consultant Nick Notas wants to boost your love life and your confidence. Why Nick Notas Dating and Confidence Consultant is a Top Dating Blog: Notas illuminates how building confidence, comfort and happiness will help you in the dating world - and in life. 30 Ever After is a blog that's all about helping women find the love they want with its dating tips and relationship advice. Why 30 Ever After is a Top Dating Blog: Women who are looking for ""The One"" will appreciate this blog's straightforward, empowering approach to dating and relationships. The Cupid dating and relationship blog covers a wide range of topics, but its articles about the early days of dating, from first dates to initiating the first kiss, are a particular highlight. Why Cupid is a Top Dating Blog: Those who are in the first days of a promising relationship and want to reassure themselves that they're not messing things up will find plenty of excellent advice on this blog. Joann Cohen is a Phoenix-based matchmaker and dating coach, and her blog is geared toward singles in Phoenix who are in need of a little dating advice. Why Joann Cohen is a Top Dating Blog: Phoenix singles who are looking for the perfect dating app, a great first date, or any other love life advice should definitely check out this blog. The Guyliner is a blog of about relationships, dating, being gay and society in general, written by an anonymous U.K. journalist. Why The Guyliner is a Top Dating Blog: For insightful and hilarious commentary on living in the dating scene as a gay man, check out The Guyliner. 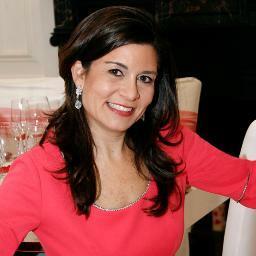 Dating With Dignity is the advice blog of dating and relationship coach Marni Battista. Why Dating with Dignity is a Top Dating Blog: Aimed at women daters, Battista's blog is guided by its namesake philosophy. Learn how to date with dignity, empowered by advice that encourages self-awareness and full responsibility for actions, feelings and thoughts. Comical dating stories will inspire you to embrace your independence and think: Who needs a soulmate anyway? Why Single for a Reason is a Top Dating Blog: If you need some comic relief with a side of relationship pop-culture videos, this is the blog for you. This advice site complements Linx, the thoroughly vetted, invitation-only offline dating and social network for singles in the San Francisco Bay Area. Why Linx Dating is a Top Dating Blog: This site posts cleverly written select clients descriptions—perfect for fantasizing about someone new or for playing matchmaker to your BFF. Fieldwork in Stilettos is the personal blog of anthropologist, dancer and writer Kat Richter. Why Fieldwork in Stilettos is a Top Dating Blog: Navigate to the Anthropology section to read Kat's amusing tales of dating, co-habitating, and relationship experiences. Dr. Wendy Walsh takes a psychological approach to dating and relationships, helping both singles and couples maintain a healthy mindset toward romance. Why Dr. Wendy Walsh is a Top Dating Blog: This blog is perfect for anyone who wants to get to know themselves and their dating and relationship tendencies a little bit better. Get advice from acclaimed psychotherapist and relationship coach Toni Coleman on this blog. Why Consum-mate is a Top Dating Blog: Commentary on psychological studies and The Bachelor make frequent occurrences in this blog. In other words, down-to-earth content with a cerebral touch. The Clover blog is produced in support of its free dating app, and includes light-hearted, entertaining articles all about relationships and dating. Why Clover is a Top Dating Blog: The Clover blog provides a fresh take on dating commentary with fun, hilarious infographics based on user polls. Try Something More is the advice blog of the Texas-based matchmaking, date coaching and image consultancy Something More. Why Something More is a Top Dating Blog: This blog packs a punch! You'll find hearty, bite-sized dating advice for both men and women, with a focus on dating in Texas. This site is the blog of Spiritual Singles, an online dating site that caters to those who practice holistic living, spiritual growth, meditation and yoga. Why Spiritual Singles is a Top Dating Blog: For thoughts on relationships from an introspective, personal growth, astrological or even metaphysical perspective, delve into Spiritual Singles Articles. 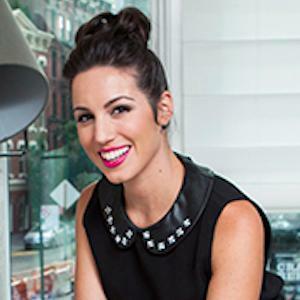 Best-selling author and celebrity dating coach Julie Spira offers relationship advice for attracting love through various platforms. Why Cyber Dating Expert is a Top Dating Blog: Cyber Dating Expert provides versatile, engaging content, with Spira giving "Dear Abby" style advice that can be addicting to read whether or not you're in the dating pool. This relationship blog gives advice to users of the What's Your Price dating site, which encourages bids for first dates. Why Whats Your Price is a Top Dating Blog: Ever wanted to know how much a first date is worth? Taking data-driven content to the next level, What's Your Price features riveting dating insight generated by statistics from it's pay-to-date business platform. 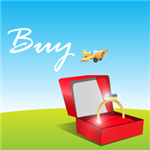 Agape Match is an award winning matchmaking and date coaching service that caters to busy professionals. This NYC based matchmaking service utilizes their blog to give dating tips to their singles and reviews different locations for the best dating spots. Why Agape Match is a Top Dating Blog: If you're considering a matchmaking service over an online dating service or just want to know the best date spots in NYC, spend some time at the Agape Match blog. In a sea of dating-advice sites, here's someone who will help you manage breakups. Why Laura Yates is a Top Dating Blog: Heartbreak happens, and Laura Yates' blog covers how to get through it with your head held high. The eFlirt Experts excel at ""digital dating"" and have been in the world of online dating since 2009. Why eFlirt is a Top Dating Blog: How do you look to the interwebs? eFlirt can assist with upping the level of your ""digital self"" - and the blog will put you in touch with the latest trends and news in the dating world. NineGPS streams advice alongside the marketing efforts of its date coaching and matchmaking namesake company. 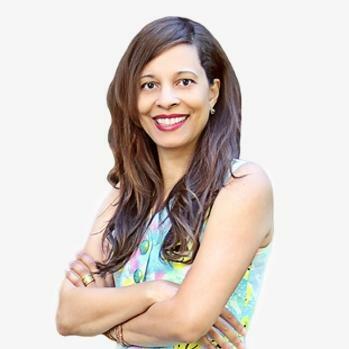 Why NineGPS is a Top Dating Blog: NineGPS founder Karla Moore gives straightforward, to-the-point relationship advice for daters of all ages. Podcasts, editorials and couples' stories provide guidance on how to better your relationships and yourself. Why Esther Boykin is a Top Dating Blog: Ready for some introspection? This blog doles out nourishing advice to help you develop relationships that are based on good emotional and mental health (yours). Motivated to Marry is a blog for those looking to settle down, featuring plenty of advice on dating, long-term relationships, proposals, and more. Why Motivated to Marry is a Top Dating Blog: Anyone who is feeling the itch to get married will find a lot of great advice on what to do (and what not to do) to find the perfect partner on this blog. What do women want? The Professional Wingman blog is a regular guide for the single man who wants to understand women and how relationships work. Why The Professional Wingman is a Top Dating Blog: Get relationship advice from multiple sources all in one spot, with helpful videos and articles plus wisdom from the Professional Wingman's "elite social strategies." Here's advice for all phases of relationships, whether you're trying to secure a date on Tinder or working to build intimacy with your current partner. Why Kristi Allain is a Top Dating Blog: No need to sift through posts aimed at the other gender - there are two entirely different blogs for both men and women. At last, an ounce of simplicity in the dating game. 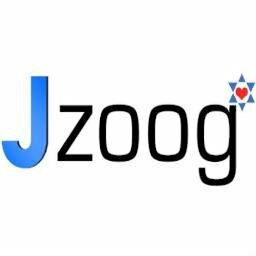 The Jzoog blog is centered around providing dating tips for Jewish singles, as well as tips for using its online, strictly-vetted dating services. Why Jzoog is a Top Dating Blog: Give your stalled dating journey a boost with quickie advice and answers to burning dating questions. The Dragonfruit Blog supports its respective app, which centers around finding dates and love for the self-proclaimed geek. Why DragonFruit is a Top Dating Blog: Tying passions like Final Fantasy to Cosplay to dating, Project Dragon Fruit is a work of beautiful nerfdom. Annalisa Parent's dating blog is focused on the etiquette of dating in the modern world, from texting to breakups and beyond. Why Annalisa Parent is a Top Dating Blog: If you didn't grow up with a smartphone in your hand, this blog will give you a few great tips on what it's like to date in the ultra-connected modern world. The Spinster's Guide features the whimsical dating and traveling adventures of a woman exploring the dating scene for the 40-plus singles scene. Why The Spinster's Guide to Dating is a Top Dating Blog: Frustrated by the dating scene? Take a humor break with the Spinster's adorable comics and relatable tales of a woman trying to sort out dating later in life. 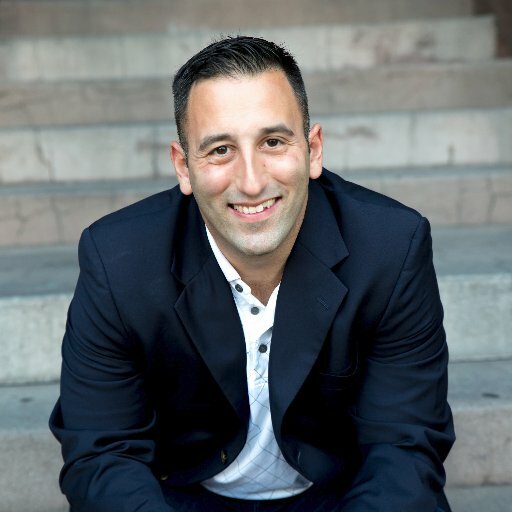 Mike Goldstein leans on his experience as a one-on-one dating coach to blast out the latest trends and observations about current love seekers. Why EZ Dating Coach is a Top Dating Blog: Entirely focused on women's dating struggles, Goldstein won't waste your time - his articles and videos take less than three minutes to process and what he says will get readers that much closer to finding a partner. Perfect date destination are suggested in a blog tied to an invitation-only dating app created by a Professional Matchmaker. Why The Dating Lounge is a Top Dating Blog: Whether you're looking for a swanky or thrifty outing with your special someone, The Dating Lounge's featured locations run the gamut for a romantic date night. Busy singles who use the Coffee Meets Bagel online dating service get snippets of advice that fit their fast lifestyle. Why Coffee Meets Bagel is a Top Dating Blog: For those who want just the facts, Coffee Meets Bagel's dating advice infographics hit the spot. Luxy, the exclusive dating app for millionaires, also has a blog where relationship advice and the life of luxury meet. Why Luxy is a Top Dating Blog: For those with expensive taste, Luxy features high-end date spots and travel destinations - not to mention access to rich singles looking for love. Dating expert Damona Hoffman's blog covers a wide range of topics, from dating after divorce to texting etiquette and even some hilarious real-life dating stories. Why Damona Hoffman is a Top Dating Blog: Damona's blog is always a fun read, and great for those who are trying to get their love life in order without causing undue pain and stress. Read: Is Texting Ruining Your Relationship? 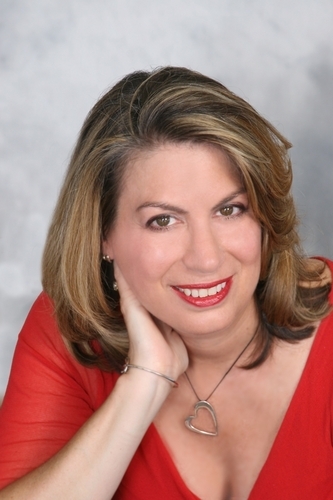 Karenna Alexander is an expert on matching up love-seekers in Connecticut and New York. Why Karenna Alexander Matchmaking and Coaching is a Top Dating Blog: You might mistake these entries for letters from a dear friend. 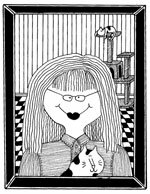 The Karenna Alexander blog doesn't hold back from personal - often comical - stories helpful for men and women. 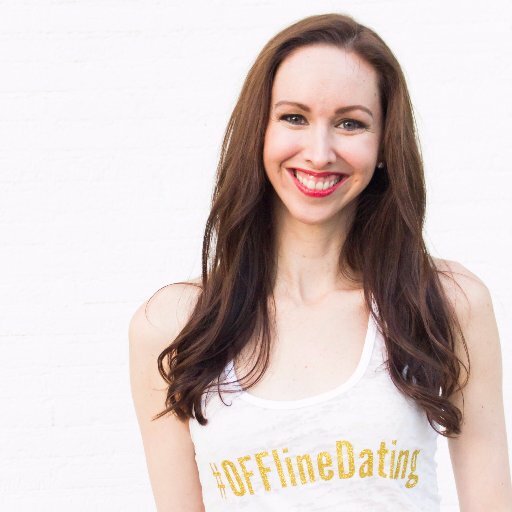 Master the Art of Offline Dating helps you do just what it says - build up skills and resources for successfully meeting someone special out in the real world. Why Master the Art of Offline Dating is a Top Dating Blog: Feeling anxiety over approaching that cutie at the bar? This site is full of tips and tricks for sailing through that first conversation. Share on Facebook "Best Dating Blogs"